Stock Up Time!! Sparkle Paper Towels $2.25 11/8-11/10 ONLY! 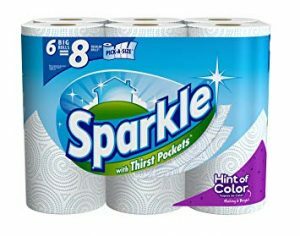 Sparkle Paper Towels 6 Rolls Only $2.25!